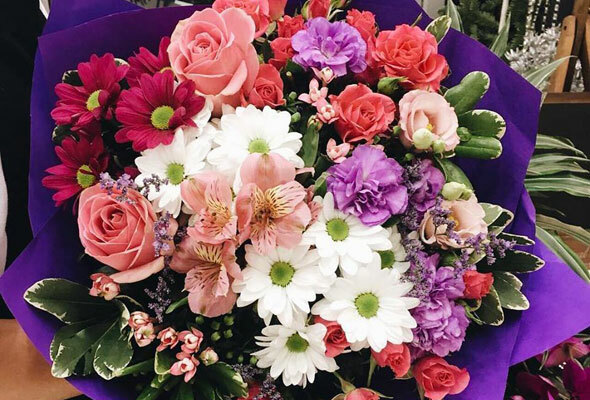 With Valentine’s Day around the corner, we reckon it might be time to treat your other half, and what better than a gorgeous bouquet of flowers? 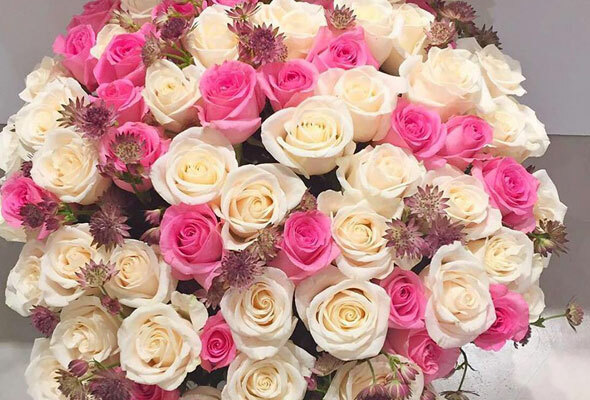 From single roses to everlasting bouquet’s and alternative treats for those with a sweet tooth, we’ve rounded up five places to get your Valentine’s bouquet. For Valentine’s Day, popular bouquets at 800flower have been given a Valentine’s themed makeover to include roses, red tulips and anthuriums. 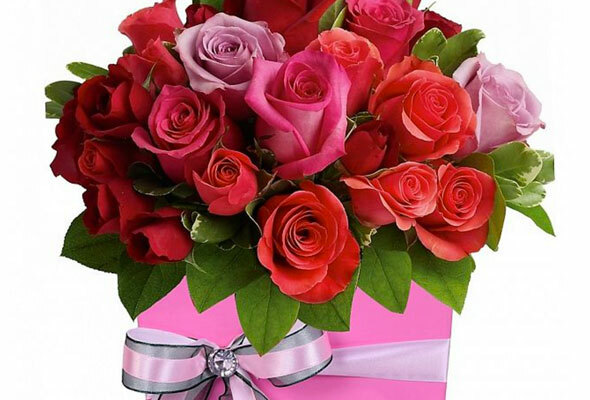 They’re also offering a wow-worth bunch of 100 premium American roses for Dhs1,495, or for something longer lasting, order a bouquet of Rose Privee flowers. These premium, long lasting roses, live up to one year and are presented in a Parisian inspired hatbox. Arrangements start from Dhs135, with 48 hours pre-booking required. Bliss Flowers will be creating specially themed Valentine’s Day bouquet’s to suit all tastes next week. Their traditional themed bouquets start from Dhs450, and ornamental plants starting from Dhs975. For a more unique and high end offering, choose their ‘LOVE’ floral letters, which are priced at Dhs1,880. 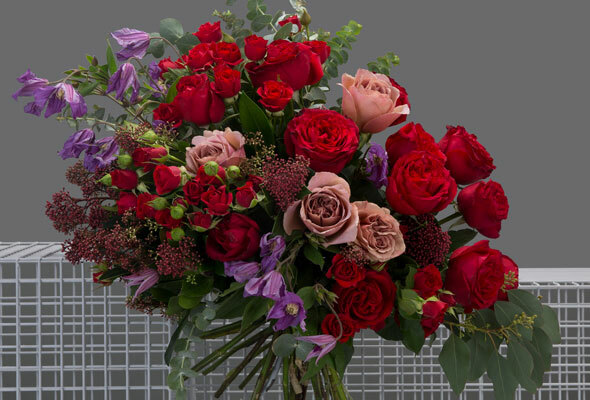 For both unique and traditional bouquet’s, Maison Des Fleur are creating arrangements of red roses as well as a vibrant variety of other colours. Single roses start at Dhs17, a box of 16 is Dhs385, and a box of 49 is Dhs880. On top of a huge range of bouquets available both in-store and online, Sentiments is great for add ons. This Valentine’s as well as traditional bunches of flowers, they’ve created packages which include balloon structures and chocolates. They’re also able to create edible bouquets of fruit and chocolate, for those with a sweet tooth. 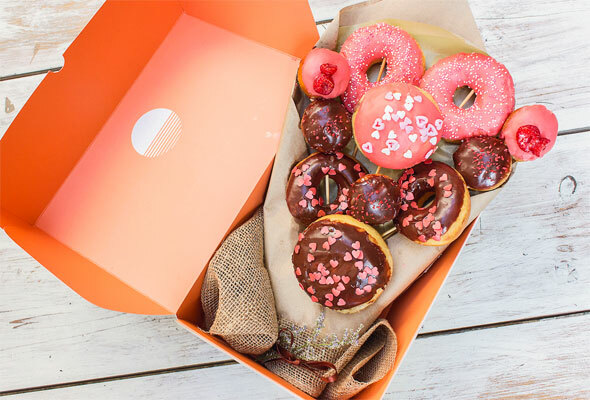 If flowers are ‘so cliche’, trade in a bouquet of forals for a bouquet of donuts with Rise&Dawn’s alternative Valentine’s gift. Located inside The Sum Of Us, Rise&Dawn is offering the edible arrangements for Dhs200. A delivery option is available for an additional Dhs50.